Do you watch Gossip Girl? 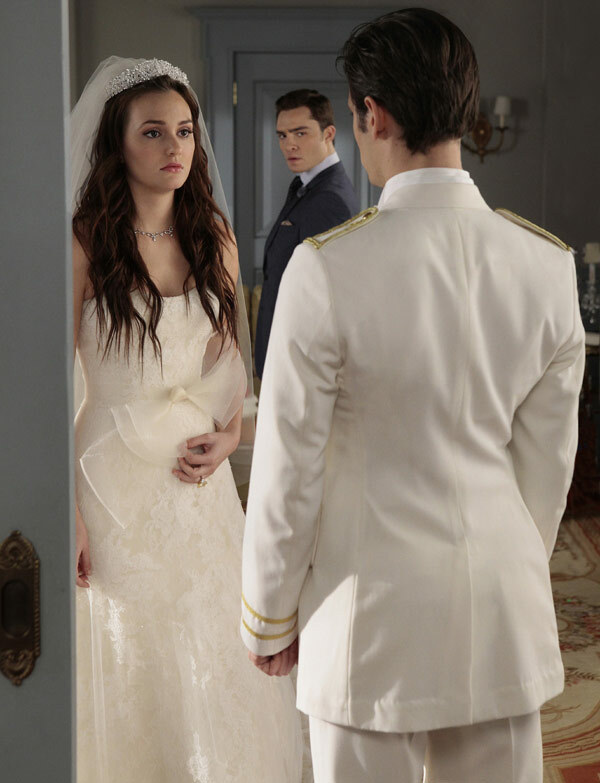 I use to watch it but haven’t been keeping up with it recently until I saw that the main star “Blair Waldorf” was getting married. I had to see what her dress, bridesmaid’s dresses, and flowers were going to look like. It didn’t take long after searching the web to find out what her wedding to Prince Louis of Monacco had it store. There is only one name……Vera Wang! Did I forget to mention that this wedding style looks a lot like a recent royal wedding! Blair’s BFF and maid of honor, Serena van der Woodsen (Blake Lively),has on Vera Wang’s “Farrah” gown, straight from the designer’s spring 2011 wedding collection. I LOVE LOVE LOVE did I say LOVE Blair’s Vera Wang Dress with Chantilly lace applique and a horsehair sash from Vera’s 2010 collection.. It’s classic with the lace, yet modern with the sash in the front. 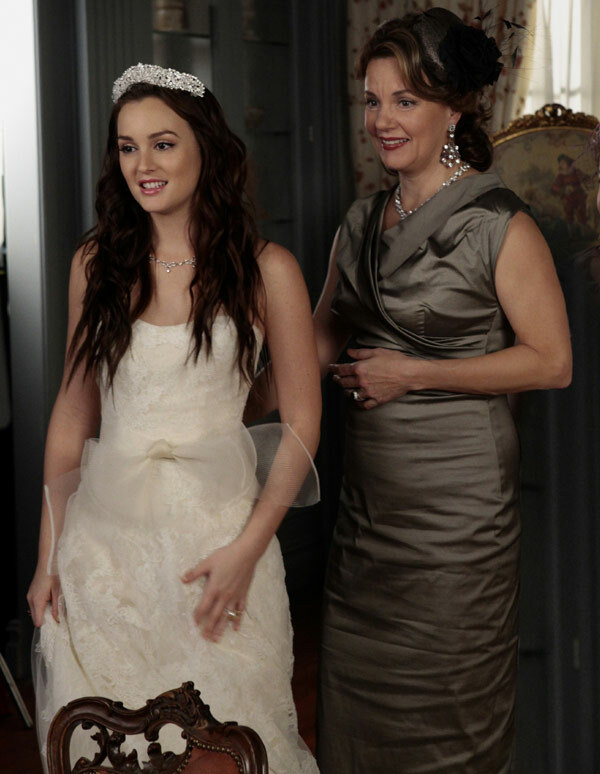 Her tiara & veil are stunning and her hair down is perfect! Everything about this is magnific! And to top it off she has a fabulous bouquet of classic peonies!! !